The book is a printing on demand product (PoD). After finalisation, the files are stored at the printing house and printed on order. There are always a couple of copies in storage for fast shipping. Printing has its price that’s why there will be an ebook version (enhanced PDF, .mobi and .pub) available soon. Sometimes I prefer printed books to carry with me. I can have a read when time permits and make notes. After each chapter on the right-hand side (for better writing), there is an empty page for your notes and ideas. This is the place to capture and write down what you found noteworthy in the chapter. The book size is A5 this makes it easy to carry around and it also fits into larger pockets in your jacket or business bag. This size also goes well together with a tablet like the iPad or similar, you can carry it in the same pouch. I like to take the physical book with me if you have to go to places where no electronics are allowed. Security cleared facilities or the court for instance. You can still take the book and make some notes in it or read along when everything around you is non-eventful. 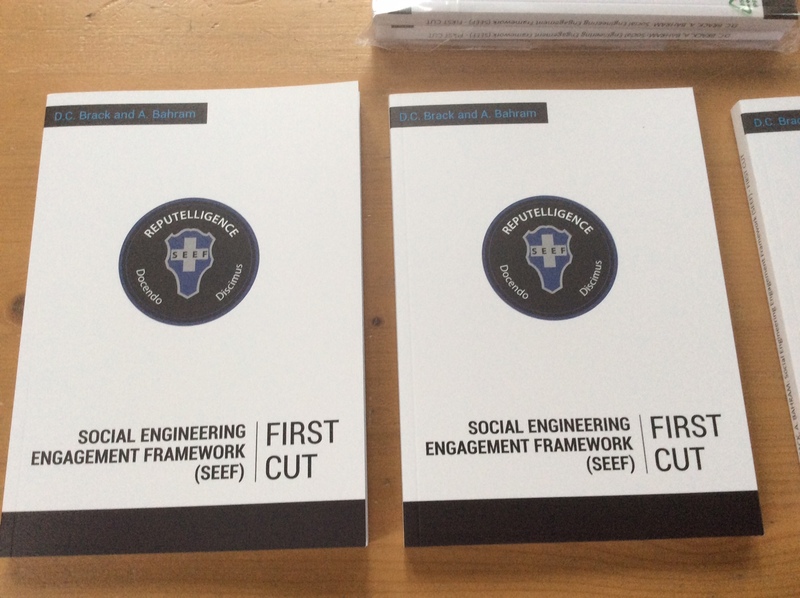 The book explains and discusses advanced social engineering techniques and tools. It contains no bloatware (useless recitations from Wikipedia or other sources with no added value to the concept of social engineering) and no fillers and length worthy explanations. 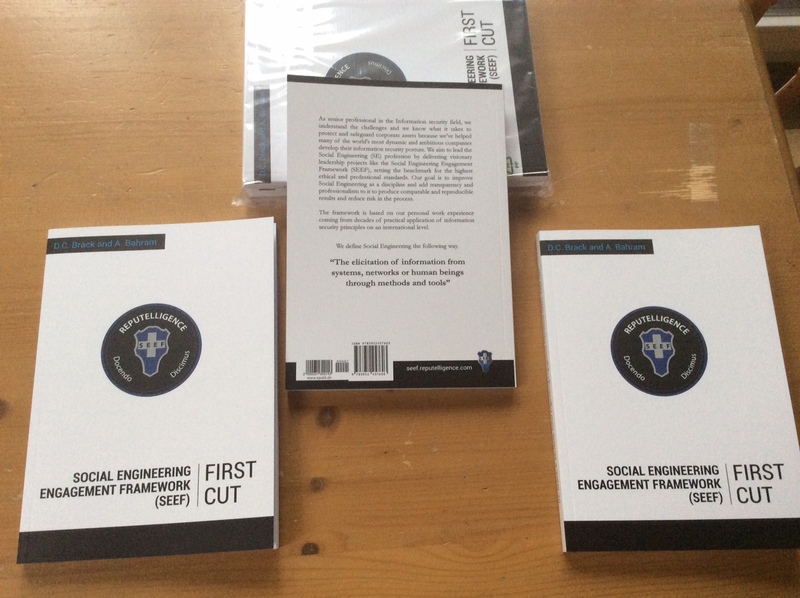 The content is kept short to the point and only new concepts are highlighted in the book. Before Christmass, the book will be available as an ebook version on this website and a softcover paperback version for ordering. For everyone really curious what’s now in the book and not only on the outside, I have here an exclusive preview of the content of the book for you. A little different book promotion video.